The American author, editor, and reformer Margaret Fuller holds a uniquely important place in 19th century history. Often remembered as a colleague and confidante of Ralph Waldo Emerson and others of the New England Transcendentalist movement, Fuller was also a feminist at a time when the role of women in society was severely limited. Fuller published several books, edited a magazine, and was a correspondent for the New York Tribune before dying tragically at the age of 40. Margaret Fuller was born in Cambridgeport, Massachusetts, on May 23, 1810. Her full name was Sarah Margaret Fuller, but in her professional life she dropped her first name. Fuller’s father, a lawyer who eventually served in Congress, educated young Margaret, following a classical curriculum. At that time, such an education was generally only received by boys. 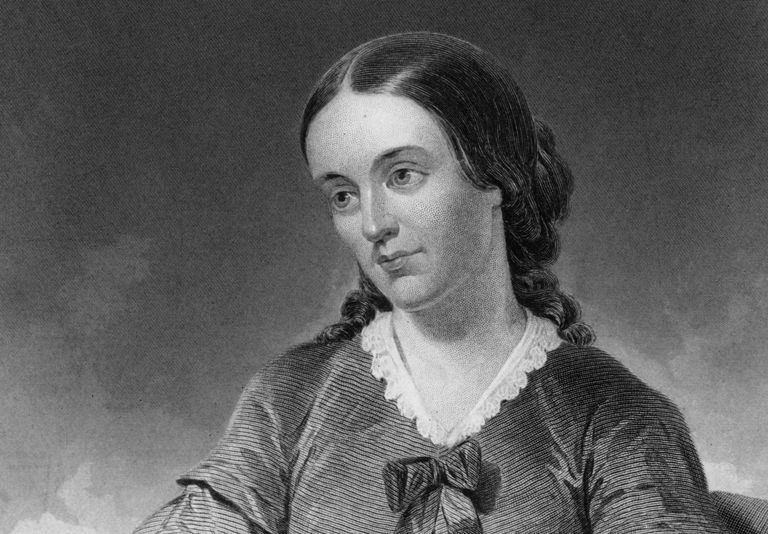 As an adult, Margaret Fuller worked as a teacher, and felt the need to give public lectures. As there were local laws against women giving public addresses, she billed her lectures as “Conversations,” and in 1839, at the age of 29, began offering them at a bookshop in Boston. Fuller became friendly with Ralph Waldo Emerson, the leading advocate of transcendentalism, and moved to Concord, Massachusetts and lived with Emerson and his family. While in Concord, Fuller also became friendly with Henry David Thoreau and Nathaniel Hawthorne. Scholars have noted that both Emerson and Hawthorne, though married men, had unrequited affections for Fuller, who was often described as being both brilliant and beautiful. For two years in the early 1840s Fuller was the editor of The Dial, the magazine of the transcendentalists. It was in the pages of The Dial that she published one of her significant early feminist works, “The Great Lawsuit: Man vs. Men, Woman vs. Women.” The title was a reference to individuals and society-imposed gender roles. She would later rework the essay and expand it into a book, Woman in the Nineteenth Century. In 1844 Fuller caught the attention of Horace Greeley, the editor of the New York Tribune, whose wife had attended some of Fuller’s “Conversations” in Boston years earlier. Greeley, impressed with Fuller’s writing talent and personality, offered her a job as a book reviewer and correspondent for his newspaper. Fuller was at first skeptical, as she held a low opinion of daily journalism. But Greeley convinced her that he wanted his newspaper to be a mix of news for the common people as well as an outlet for intellectual writing. Fuller took the job in New York City, and lived with Greeley’s family in Manhattan. She worked for the Tribune from 1844 to 1846, often writing about reformist ideas such as improving conditions in prisons. In 1846 she was invited to join some friends on an extended trip to Europe. She left New York, promising Greeley dispatches from London and elsewhere. While in Britain she conducted interviews with notable figures, including the writer Thomas Carlyle. In early 1847 Fuller and her friends traveled to Italy, and she settled in Rome. Ralph Waldo Emerson traveled to Britain in 1847, and sent a message to Fuller, asking her to return to America and live with him (and presumably his family) again at Concord. Fuller, enjoying the freedom she had found in Europe, declined the invitation. In the spring of 1847 Fuller had met a younger man, a 26-year-old Italian nobleman, the Marchese Giovanni Ossoli. They fell in love and Fuller became pregnant with their child. While still mailing dispatches off to Horace Greeley at the New York Tribune, she moved to the Italian countryside and delivered a baby boy in September 1848. Throughout 1848, Italy was in the throes of revolution, and Fuller’s news dispatches described the upheaval. She took pride in the fact that the revolutionaries in Italy drew inspiration from the American Revolution and what they regarded as the democratic ideals of the United States. In 1849 the rebellion was suppressed, and Fuller, Ossoli, and their son left Rome for Florence. Fuller and Ossoli married and decided to relocate to the United States. In the late spring of 1850 the Ossoli family, not having the money to travel on a newer steamship, booked passage on a sailing ship bound for New York City. The ship, which was carrying a very heavy cargo of Italian marble in its hold, had hard luck from the outset of the voyage. The ship's captain became ill, apparently with smallpox, died, and was buried at sea. The first mate took command of the ship, The Elizabeth, in mid-Atlantic, and managed to reach the east coast of America. However, the acting captain became disoriented in a heavy storm, and the ship ran aground on a sandbar off Long Island in the early morning hours of July 19, 1850. With its hold full of marble, the ship couldn't be freed. Though grounded within sight of the shoreline, enormous waves prevented those on board from reaching safety. Margaret Fuller’s baby son was given to a crew member, who tied him to his chest and tried to swim to shore. Both of them drowned. Fuller and her husband also drowned when the ship was eventually swamped by waves. Hearing the news in Concord, Ralph Waldo Emerson was devastated. He dispatched Henry David Thoreau to the shipwreck site on Long Island in hopes of retrieving Margaret Fuller’s body. Thoreau was deeply shaken by what he witnessed. Wreckage and bodies kept washing ashore, but the bodies of Fuller and her husband were never located. In the years after her death, Greeley, Emerson, and others edited collections of Fuller's writings. Literary scholars contend that Nathanial Hawthorne used her as a model for strong women in his writings. Had Fuller lived past the age of 40, there’s no telling what role she might have played during the critical decade of the 1850s. As it is, her writings and the conduct of her life served as an inspiration to later advocates for women’s rights.